Treat feet to the most deliciously fun veggie (that’s really a fruit) made of a comfy cotton blend. You've got to eat an avocado when it's just right, and who knows sweet spots better than your feet? At least when it comes to comfort, they're the experts, and nine out of 10 feet surveyed said, "Not wearing these fun, comfy, cotton blend unisex socks is the pits!" 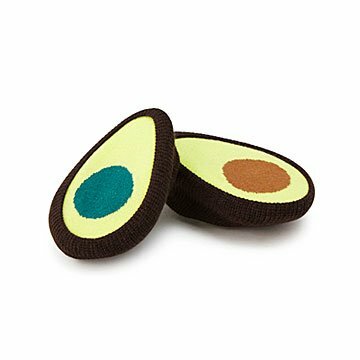 Stuff these in the stockings of avo toast-loving friends and family so they can at least think about healthy fats while feasting on holiday dinner. Made in China.